Mouse anti human heat shock 70 kDa protein 4 antibody recognizes heat shock 70 kDa protein 4, also known as HSPA4, epididymis secretory sperm binding protein Li 5a, heat shock protein, 110 kDa or hsp70 RY. This antibody has been extensively validated for western blotting using whole cell lysates. Human anti Human heat shock 70 kDa protein 4 antibody recognizes heat shock 70 kDa protein 4, also known as HSPA4, epididymis secretory sperm binding protein Li 5a and heat shock 70-related protein APG-2. 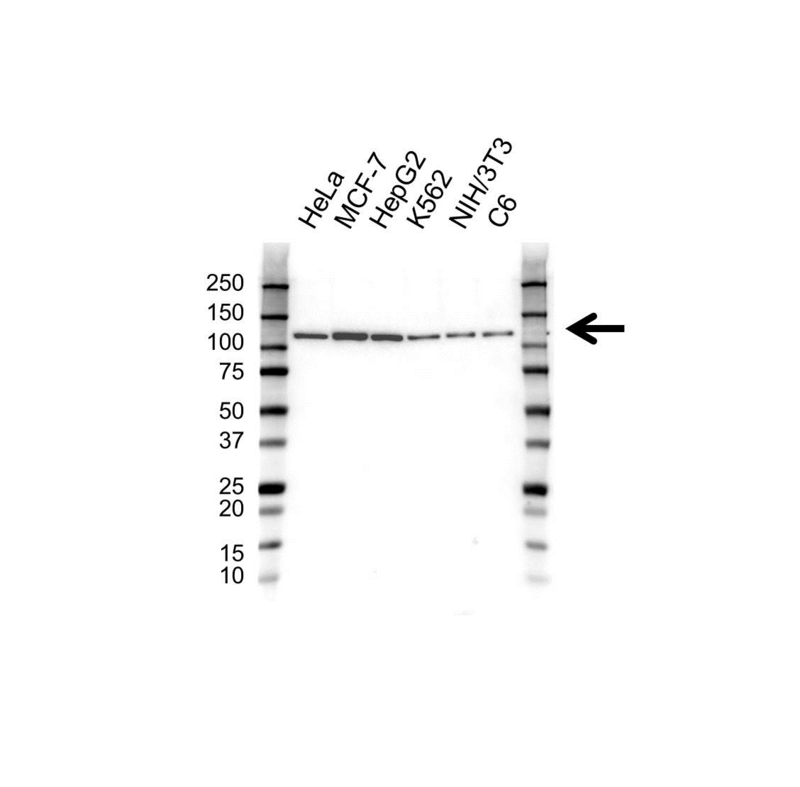 Human anti Human heat shock 70 kDa protein 4 antibody detects a band of 110 kDa. The antibody has been extensively validated for western blotting using whole cell lysates. A bivalent human recombinant Fab selected from the HuCAL® phage display library, expressed in E. coli. This Fab fragment is bivalent by dimerization of the bacterial alkaline phosphatase fusion protein. The antibody is tagged with a DYKDDDDK tag and a HIS-tag (HHHHHH) at the C-terminus of the antibody heavy chain. This antibody is supplied as a liquid. Sold under license of U.S. Patents 6753136, 7785859 and 8273688 and corresponding patents. This antibody was developed by Bio-Rad, Zeppelinstr. 4, 82178 Puchheim, Germany. PrecisionAb™ is a trademark of Bio-Rad Laboratories. His-tag is a registered trademark of EMD Biosciences.